"Flare and Microsoft TFS basically do everything we need, so we don't need to spend all that money on a traditional content management server." "It was exciting to see how quickly we were able to get the mobile documentation published with Flare"
"An important advantage of MadCap Lingo is that it automatically strips out the XML code, leaving just the strings to be translated. The translator can't accidentally break the code." Illumina, Inc. (NASDAQ: ILMN) is a leading developer of life science tools and integrated systems for the large-scale analysis of genetic variation and function, with more than 90% of the world's genetic sequencing data being generated using Illumina platforms. Supporting these mission-critical systems requires the rapid delivery of accurate and consistent documentation in print as well as on users' desktops, web browsers, and mobile devices. Illumina relies on MadCap Flare and Microsoft Team Foundation Server (TFS) to provide a cost-effective content management system (CMS). Together the integrated products are cutting project time by up to 80% while ensuring stringent version control of all content. 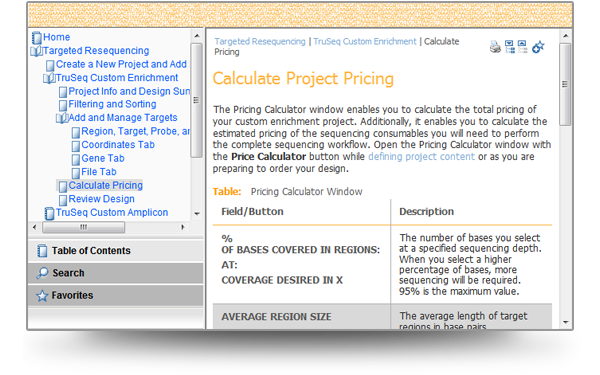 For years, Illumina used a handful of authoring tools, including MadCap Flare, to produce its documentation. However, after MadCap added Microsoft TFS support, Flare became Illumina's preferred software. "When I joined Illumina two and a half years ago, one of my first responsibilities was bringing in a content management system," said Lynn Carrier, Illumina Assoc. Director, Content Process and Technology. "As I researched different approaches, I discovered that we had all these Flare licenses and that they could integrate with our Microsoft version control system. So I suggested that we use them together as a proof of concept." Since then, Ms. Carrier observed, "It's turned out that Flare and Microsoft TFS basically do everything we need, so we don't need to spend the money and resources to implement a traditional content management server." Illumina now maintains one large Flare project with thousands of files. 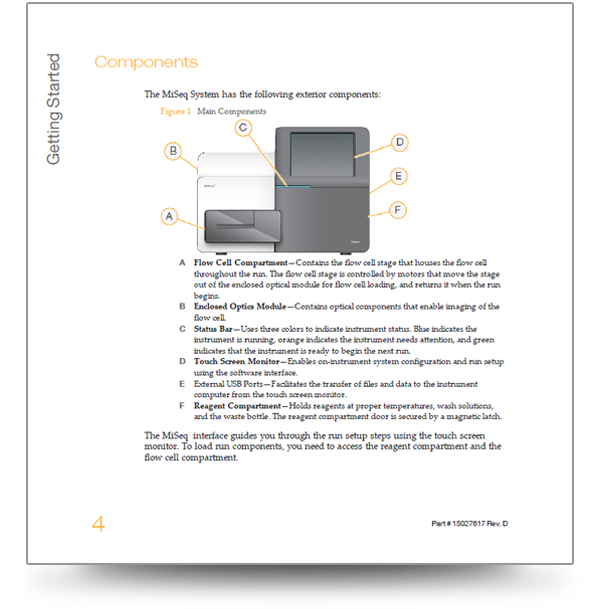 The single-source, multi-channel publishing capabilities of Flare enable the writing team to use this single set of files to create a user guide, online help, quick start guide, and troubleshooting guide on the web. Meanwhile, Microsoft TFS allows the writers to directly check files in and out of Flare to create or update content. 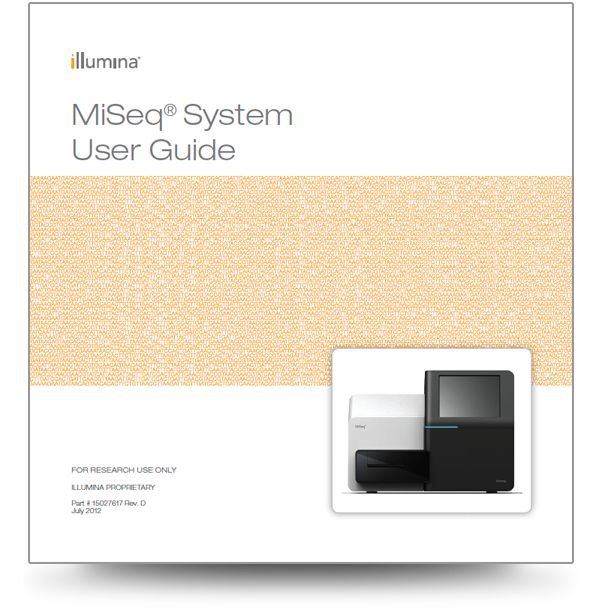 Since standardizing on Flare for Illumina's product documentation, the writing team has been able to complete projects significantly faster than was possible using other popular tools for authoring and publishing. One advantage of Flare is the separation of content from style, since making updates doesn't require changes to the formatting. "We didn't realize how much time we were spending on style and formatting with the other tools until we stopped doing it," Ms. Carrier explains. "We still have a couple documents in an old tool, but anytime we have to go back and update them, a simple edit can take two days. With Flare, we no longer need to worry about pagination issues. Instead, we can typically make an edit in five minutes, generate a PDF, and be done." Additional efficiencies stem from the ability to use variables to update changes across all the files in the Flare project. For example, using another tool, Illumina had to maintain separate files for each of the products within one product line. Because all changes had to be made manually across the different files, it took four to six weeks to release an update for the product line, even though roughly 90% of the content was the same. By contrast, Ms. Carrier says, "After we brought all of our content into a single Flare project, we figured out a way to simply update the variable list, generate a draft, and review it to make sure we didn't miss anything. Because we reuse so much content for this product line, we've been able to cut our project time from about six weeks down to one week using Flare variables." Finally, Flare's multi-channel publishing capabilities speed the delivery of content. For each deliverable, whether it is in print or online, the writing team simply creates a new table of contents (TOC) and a target. Then when it is time to publish the content, it is simply a matter of selecting the target to initiate the build. "We now have 173 TOCs in our Flare project," Ms. Carrier notes. "It just keeps growing!" 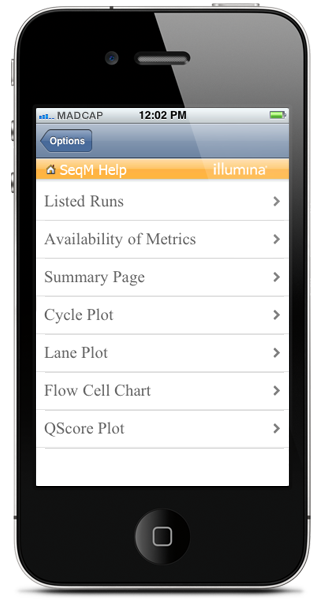 Illumina also is expanding the ways in which it is delivering content to include mobile. "We have one mobile application that we support with a mobile Help system created in Flare," Ms. Carrier said. "We were toying with building the mobile Help ourselves, but then I went to a MadCap roadshow and saw what Flare could do. It was exciting to see how quickly we were able to get the mobile documentation published with Flare." One other option in the future may be publishing eBooks using Flare, Ms. Carrier added: "We have field reps who rely on iPhones and iPads, and it may be more convenient for them to have product documentation in eBooks rather than PDFs. It's nice to know this option is available with Flare if we need it." Illumina uses the MadCap Lingo translation management solution (TMS), which is tightly integrated with Flare, to prepare content for translators who work with the company. MadCap Lingo lets Illumina's writers pull out the files they need translated, package them up, and send them off for translation. The translators can use their own tools of choice to make the translations. Once complete, the translations are imported back into the Flare project using MadCap Lingo. "Reusing content in Flare and only translating changed content identified by Lingo cuts our localization costs in half," says Ms. Carrier. "Another important advantage of MadCap Lingo is that it automatically strips out the XML code, leaving just the strings to be translated. The translator can't accidentally break the code," Ms. Carrier explains. Ms. Carrier added, "Since our writers have learned how to work with MadCap's software, we have been able to write and publish documentation much faster. That's a big plus in the life sciences industry, which thrives on rapid innovation."